Tony Cigno, Wisconsin family dentist, shares how to ensure kids get proper pediatric dental care when they become tweens and teens. In the article, Dr. Cigno starts off by sharing the frightening fact that dental decay is the most common chronic disease among teenagers ages 5 to 17. This is according to the CDC on pediatric dental care. Dr. Cigno goes on to share some tips from his family dental practice that help teens take care of their teeth. By addressing their pediatric dental care now they can help prevent future dental issues. Some of these tips include limiting soft drinks and juices, proper tooth defense in sports, and avoiding mouth piercings. 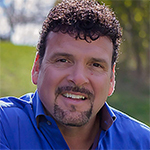 Dr. Antonio (Tony) Cigno has been practicing dentistry in the Milwaukee area for 25 years. Dr. Cigno received a DMD from the Washington University School of Dental Medicine in St. Louis, Missouri. Dr. Cigno is also finishing a Fellowship and Mastership at the Academy of General Dentistry and has written several published articles. He is a member of the Academy of General Dentistry, American Association of Functional Orthodontics, and the International Association of Orthodontics. Dr. Cigno was Wisconsin’s very 1st and Premiere Provider of Fastbraces and one of 10 senior master affiliates in the world. Dr. Cigno is committed to his continuing education. He has completed over 600 hours of additional courses in implant dentistry, orthodontics, endodontics, periodontics, fixed prosthodontics, myofascial pain/occlusion and operative dentistry. He also has another 400 hours in interpersonal communication training.